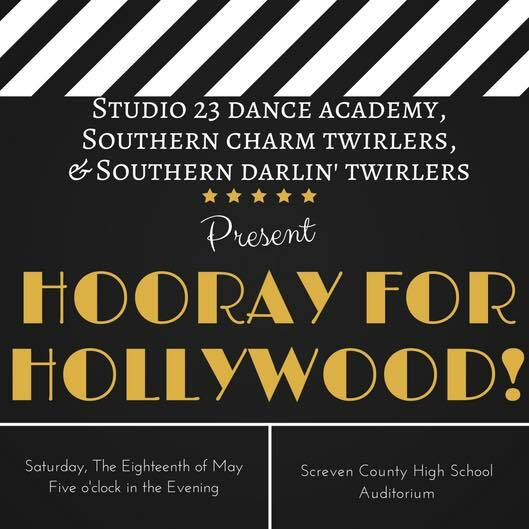 Our 3rd annual recital, “Hooray for Hollywood” will be held on May 18th at the SCHS auditorium! Ask around, you absolutely do not want to miss one of our recitals! Our students always knock it out of the park! Please join us for an amazingly fun night of dance, twirling, cheerleading, and tumbling!